In Colonial America, all-purpose axes, similar to the Native American Tomahawk, often served as diplomatic gifts between European colonists and Native American tribes. 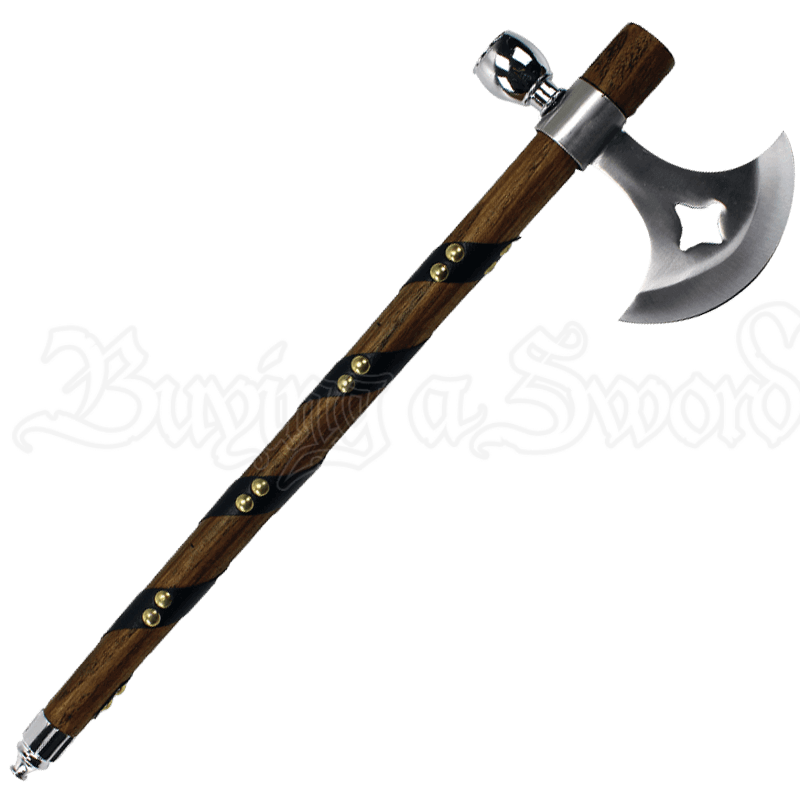 The peace pipe bespoke harmony while the blade signified war. Taking inspiration from the tools and weaponry of colonial North America, this single-handed axe includes a non-functional peace pipe. A cross-like cutout decorates the center of the blade, enhancing its balance. A diagonal wrap with brass accents contributes to the rustic appearance while creating a stronger, firmer grip. 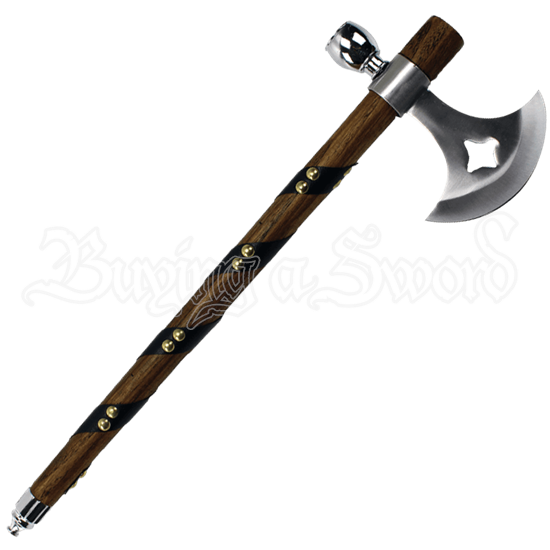 This fantasy weapon is a great piece to display on a wall or to accessorize a historical costume.